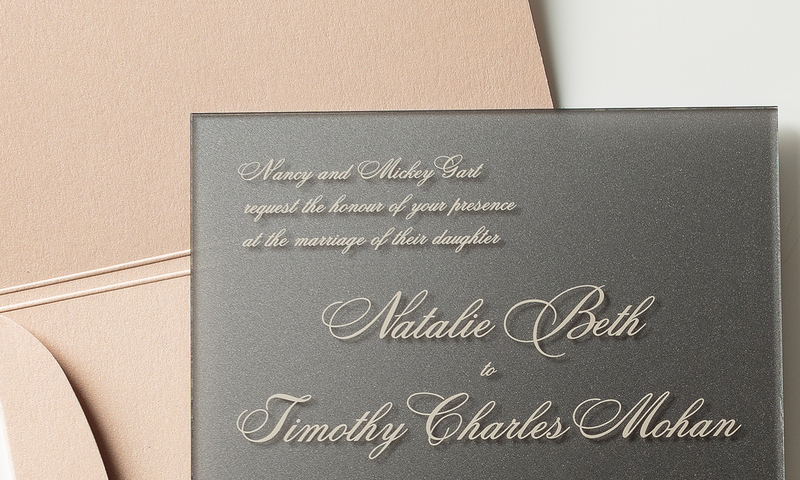 This acrylic wedding invitation mixes modern materials with traditional typography. 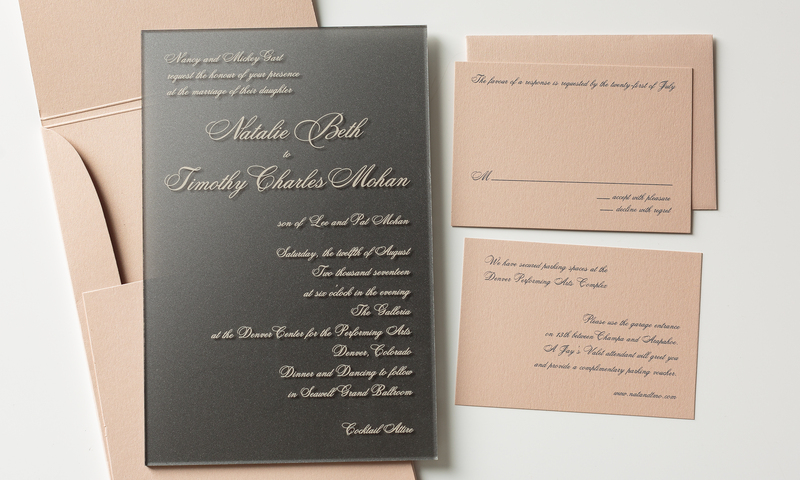 The insert cards complete the set, with matching typography and color. This design can be customized to meet any style.